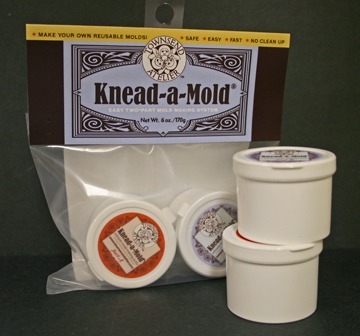 Knead-a-Mold® is our exclusive, two-part, platinum cured silicone mold making system that is safe and so easy to use. It works beautifully with resins, low temperature melt metal alloys, paper and air dry clays, polymer clay, wood putty, chocolate and more! Excellent for replicating vertical, small or hard-to-reach areas. 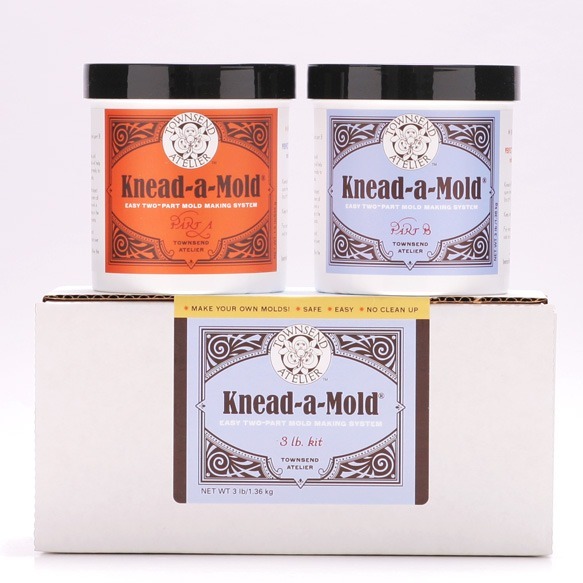 Non-toxic and food safe, Knead-a-Mold can be baked at up to 300 F constant temperature or 600 F intermittently. No special equipment, tools or release agents are needed. Can be used with our exclusive Brush-a-Mold™.